At the beginning of 2019 Echoes entered into a new phase: collaborative leadership. We now have a team of four who are working together to set some direction for Echoes, in hopes of greater community engagement and offering more ways for the “church” to be accessible. Jory has started a weekly text study, both Jory and Emma will be leading Creative Church, Emma will be starting a weekly offering of Pub Church in March, and Victoria just started a monthly Church of the Wild that we’re calling Outdoor Church. It is So. Freaking. Exciting. This “Faith & Nature” series had such a wonderful line-up! A Rabbi-in-training, a former Catholic priest who was Hindu by birth, a Unitarian Universalist, a Zen Buddhist, an Atheist, an Evangelical Christian, a yogi, a Lummi elder, a Muslim. It was rich, meaningful, and thought-provoking. We had the opportunity to dialogue about perspectives and ideas that were new to many of us in attendance, we became acquainted with a greater spectrum of people who reside here in the ‘ham. These gatherings helped to promote understanding, compassion, and forged new relationships. For me, it was the embodiment of church. Public dialogue provides opportunity for getting to know people on a deeper level, developing new connections (relational, mental, psycho-spiritual), learning about amazing things going on in Bellingham, creating greater compassion and building synergy. Listening in on a meaningful conversation can be world-expanding. This particular endeavor is sort of like internet phenomenon Humans of New York meets the On Being podcast - pure magic. Our dialogue partners will be people who are connected to Bellingham in some way. They will share some of their life story that relates to living here, and how they are getting along in/contributing to/challenging the ‘ham. They might be business owners, be from a marginalized people group, be in politics, be caretakers, be innovators, be dreamers, be activists….they might be….you. 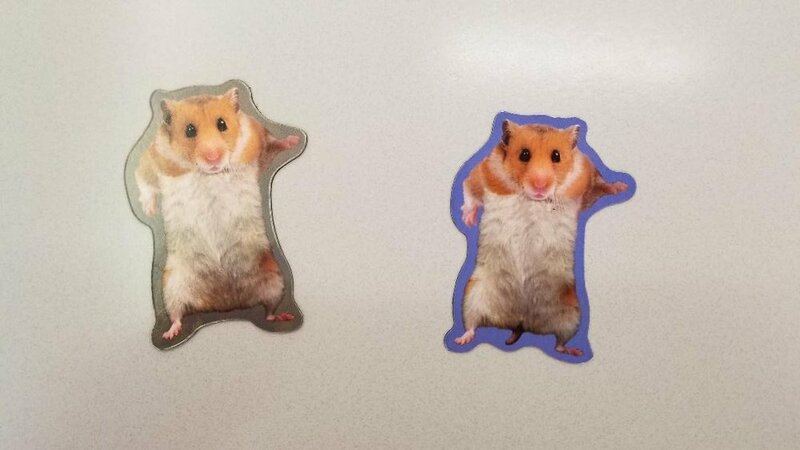 This is my hope for ‘hamster church. If you have a suggestion for a dialogue partner, do please contact us. We’re working toward making a podcast to develop from this series as it can create additional reach and impact. Consider contributing to this endeavor - a little goes a long way. Our first ‘hamster church is THIS Monday at 6:30pm at the Whatcom Land Trust. Our special guest is Natalie Whitman. It’s going to be awesome. All are welcome; do join us.